Yoani Sanchez tells us the day to day life of a Cuban with her beautiful descriptive narrative. 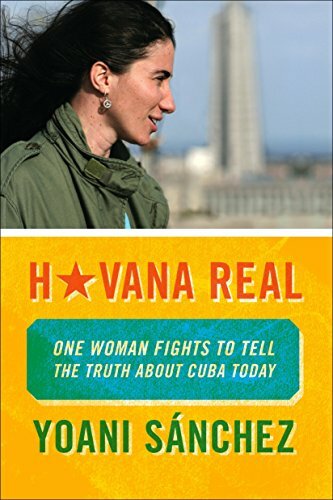 Thru her writings we learn that the average Cuban not aligned with the regime often faces shortages of water, food, and quality housing and medical care. Her moods vary from the yearning compassionate grief for the company of a dissident friend in prison to the indignation for the use of children as agricultural laborers and to the boring conforming indifference to the constant bombardment of the Castro regime's propaganda machine in television and other media. Thru Yoani's pages we develop an awareness of the lack of freedom of expression and media that has resulted in an insensitive and repressive regime that is not accountable to anyone. Whether it is he reliance on the black market for basic food items and services, the poor housing conditions and medical care, there is much corruption and lack of accountability within the Castro government and this makes day to day life for the average Cuban a real challenge.